The Government of the Philippines will host the award ceremony of the inaugural ASEAN Biodiversity Heroes, a program designed to recognize outstanding individuals from the ASEAN region who have contributed significantly to biodiversity conservation and advocacy efforts in their respective countries. Ten heroes from Brunei Darussalam, Cambodia, Indonesia, Lao PDR, Malaysia, Myanmar, the Philippines, Singapore, Thailand, and Viet Nam will be honored at the award ceremony to be held on 07 August 2017 at the New World Manila Bay Hotel. Apart from receiving their awards, the ASEAN Biodiversity Heroes will share their experiences on biodiversity conservation in a forum to be attended by representatives from the government, business, youth, and conservation sectors, as well as the diplomatic community. “I am proud that in this year of Philippine chairmanship of ASEAN, biodiversity occupies an important place in the collective ASEAN agenda. 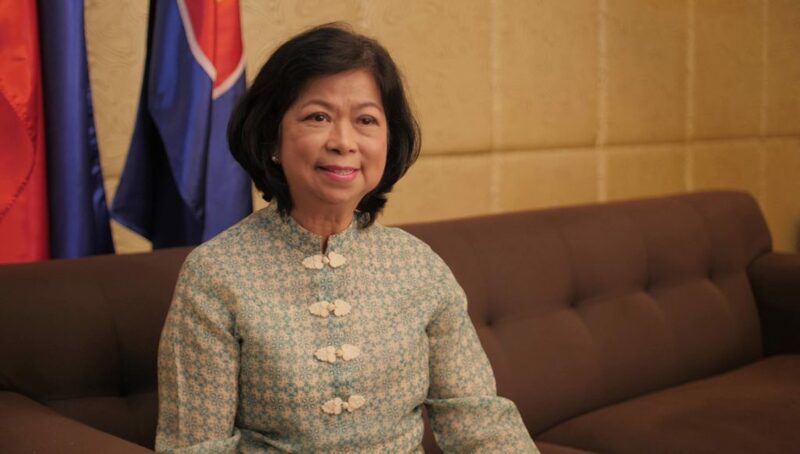 By recognizing the important contributions of 10 individuals from ASEAN Member States in promoting biodiversity conservation, the ASEAN Biodiversity Heroes Award creates fertile ground where inspiration can take root and prod other individuals to also act as heroes and initiate wider public involvement within the ASEAN community,” said Ambassador Elizabeth P. Buensuceso, Permanent Representative of the Philippines to ASEAN and Chair of the Committee of Permanent Representatives to ASEAN (CPR). One of the commemorative activities for the Golden Anniversary of ASEAN, the Heroes project is supported by the ASEAN Secretariat; the Philippines’ Department of Foreign Affairs; the European Union through the Biodiversity Conservation and Management of Protected Areas in ASEAN (BCAMP) project; and HARI Foundation, Inc. (HFI), the corporate social responsibility arm of Hyundai Asia Resources, Inc. (HARI). The ASEAN Centre for Biodiversity (ACB) serves as awards secretariat. Each ASEAN Biodiversity Hero shall receive a cash prize worth USD 5,000, a special heroes medal, a trophy, and a certificate. They will also receive the Hyundai Icon for Biodiversity Award from HFI. i share your passion in promoting Biodiversity.please allow me to contribute, in my own little way, stories about my, our advocacy of being good stewards of God’s creation by taking care of Mother Earth! Good day butch madarang. We apologize for the belated response. You can share your stories with us through the We Can Be Heroes social media campaign. This social media campaign aims to collect short stories of biodiversity conservation from the public and be shared with others through social media. Through the campaign, we will highlight how simple individuals from all walks of life and backgrounds do simple but significant tasks on how one can protect and conserve biodiversity. Yes, even the simplest actions can be shared in the social media campaign to inspire others to do the same. You may visit this link for further details.